Today’s musing involves chemicals since they are all around us. Just take a moment to think about all the cleaners, chemicals and hazardous materials scattered throughout your home, garage and workshop. When you have some time, snoop around your home and garage and read the labels on all products to ensure you are using, storing and disposing of the material according to the manufacturer’s directions. Many products like oil based paints (including stains, strippers and varnishes); household cleaners, automotive products, lighter fluid and other fuels, pesticides, fertilizers and other yard products contain hazardous components. They will be identified by such words as “warning, ” “danger,” “toxic,” “corrosive,” “irritant,” “flammable” or “caution” found on their labels. It is critical to store household chemicals in places where children and pets cannot access them. 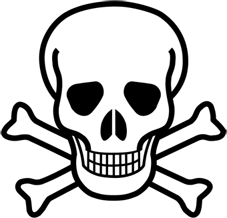 Pay special to containers with the skull and crossbones which is used to indicate the presence of a poisonous chemical. If you see this symbol on a household product, pay attention to the warning. And remember products such as aerosol cans of hair spray and deodorant, nail polish and nail polish remover, toilet bowl cleaners and furniture polishes all fall into the category of hazardous materials too. as many as 500,000 products pose physical or health hazards and can be defined as “hazardous materials” and over 1,000 new synthetic chemicals are introduced each year?! 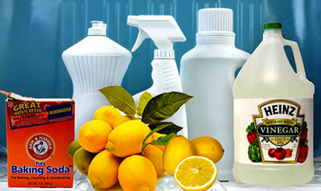 Read labels – Always read product labels for proper use, safe storage and disposal of chemicals. Don’t dump it – Many used or unwanted products dumped down the sink, poured down a storm drain, tossed in the trash or poured on the ground often wind up in nearby rivers, streams or ground water where they can be toxic to humans and aquatic life, even at low concentrations. And those products could disrupt your septic system or contaminate treatment plant sludge. Learn how to dispose of used liquids and containers in advance. Recycle it? – Call your local recycling center or collection site to ask what chemicals can be recycled or dropped off for disposal — many centers take things like car batteries, oil, tires, paint or thinners, etc. And many communities setup household hazardous waste (HHW) collection programs throughout the year. Store it – Keep all chemicals and household cleaners in safe, secure locations out of reach of small children. Put it out – Don’t smoke while using household chemicals. Consider using non-toxic solutions – Look for “green” and non-toxic products that say petroleum-free, biodegradable, septic safe, phosphate-free, Volatile Organic Compounds (VOC)-free, and solvent-free. And find more resources below. Call for help – Call your local Poison Control Center (or 1-800-222-1222), 9-1-1, fire department, hospital or emergency medical services. If possible, have container handy since medical professionals may need specific data from label. Stay calm and find out exactly what, how much, and how long ago it was swallowed. Call Poison Control Center (1-800-222-1222 in the U.S.) or an ambulance and have bottle or container handy (if possible). NEVER give victim anything to eat or drink unless told to do so by Poison Control Center or a Medical professional!! 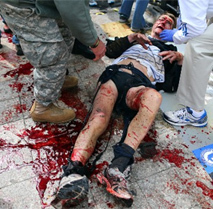 If victim pukes, lay them on their side to keep airway open. Save a sample of the vomit IF the poison is unknown so the hospital can try to identify it. 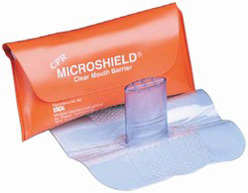 If victim isn’t breathing consider doing Rescue Breathing – but ONLY if sure poison cannot be spread person to person or if you have a mouth shield or mask to avoid cross contamination. The American Academy of Pediatrics recommends parents no longer use syrup of ipecac (pronounced ip’- î – kak) as a poison treatment intervention in the home. Immediately contact local Poison Control Center for help. If you decide to keep a few 1 ounce bottles in your First Aid Kit … use ONLY on the advice of a Medical professional or the Poison Control Center! Syrup of ipecac is sold by most pharmacies without a prescription and used to induce vomiting (makes you puke) — again, use only if instructed to do so. There are tons of blogs and sites with tips on making non-toxic cleaners for your home so consider doing some research about using simple household products like baking soda, vinegar, liquid detergent, lemon juice, essential oils and other items to clean naturally … and save money! Friday Fotos: Twinkle, Twinkle Little… Glowworm? 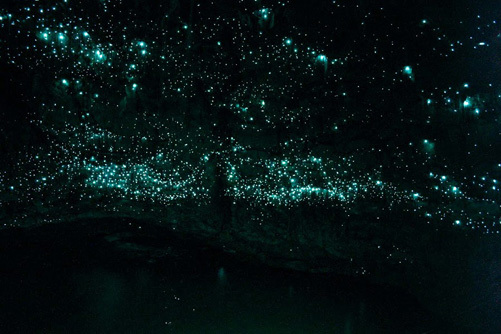 There are so many glowworms that live in New Zealand’s Waitomo caves visitors will feel like they’re looking up at a night sky rather than cave walls. 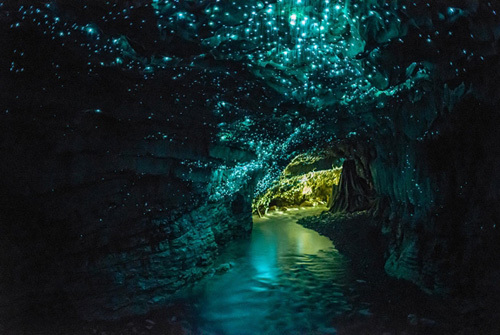 The 300 cave system has been around for millions of years, and the starry night vibe is there thanks to the Arachnocampa luminosa, a glowworm species only found in New Zealand, GrindTV reports. 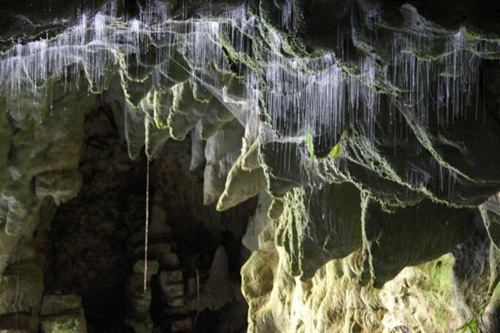 Waitomo.com explains the Waitomo Glowworm Caves were first explored in 1887 by local Maori Chief Tane Tinorau accompanied by an English surveyor Fred Mace. They built a raft of flax stems and with candles as their only lighting, floated into the cave where the stream goes underground. As they entered the caves, their first discovery was the Glowworm Grotto with its myriad of tiny bright lights dotting the cave ceiling. As their eyes adjusted to the darkness, they saw a multitude of lights reflecting off the water. 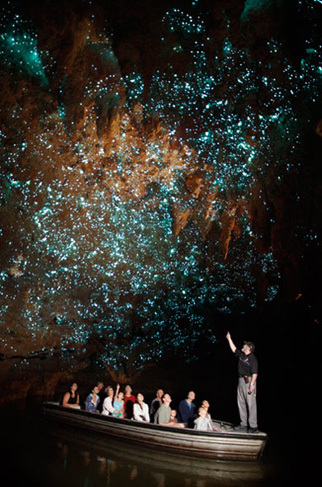 Looking up, they discovered that the ceilings were dotted with the lights of thousands of glowworms. According to The Visa Centre, the easiest way to travel the caves is by boat or you can also walk through the caves along well-formed paths and stairways. And, if you’re a thrill seeker, you can experience the thrill of black water rafting or zip lining through the same caves. Spellbound Glowworm & Cave Tours says these glowworms live all over New Zealand; they’re very common and found in forest settings, usually under overhanging stream banks . Where conditions are suitable they live in caves and can colonise cave ceilings in impressive numbers. 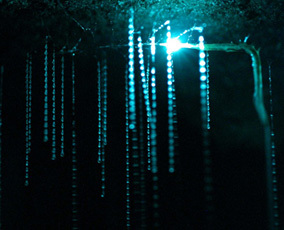 Glowworms can turn off their lights when there is too much bright light from another source, or to ‘hide’ if disturbed. 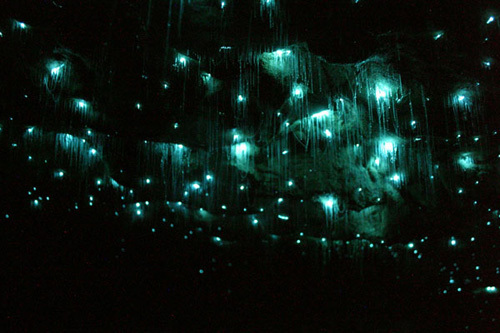 But the glowworms are best known for their magnificent luminescent displays as visitors meander through the Waitomo caves. 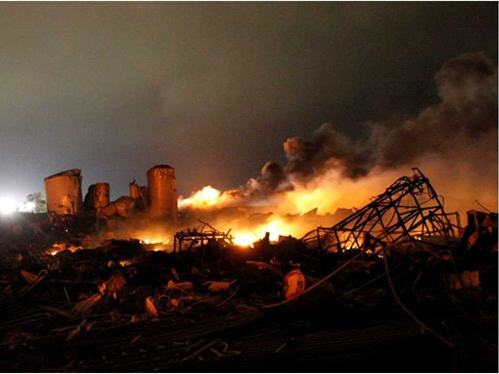 Major chemical accidents like the recent fertilizer plant explosion in Texas seem most threatening because they often kill people outright, however it is the smaller, more routine accidents and spills that affect most people. Some of the most common spills involve tanker trucks and railroad tankers containing gasoline, chlorine, acid, or other industrial chemicals. Many spills occur during the transportation of hazardous materials. For example, in 2012, spills from 12,995 highway and 665 railroad accidents resulted in 11 deaths, 160 injuries, and damages exceeding more than $73 million. The Spills and Accidents database contains statistics on toxic chemical spills and other accidents reported to the National Response Center (NRC … formerly called ERNS, the Emergency Response Notification System). The database shows that 28,591 accidents involving toxic chemicals were reported to the NRC in 2012, meaning that on average, some type of toxic chemical accident was reported 78 times a day in the U.S., or nearly 3 times per hour. 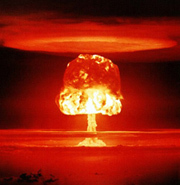 each year about 400 million metric tons of hazardous wastes are generated worldwide?! according to FEMA, varying quantities of hazardous materials are manufactured, used, or stored at an estimated 4.5 million facilities in the U.S.?! Hazardous materials can range from waste produced by a petroleum refinery to materials used by the dry cleaners to pesticides stored in your home. And, although the chemical industry has a good safety record, accidents and chemical spills happen and toxic materials may be released into the air and water. 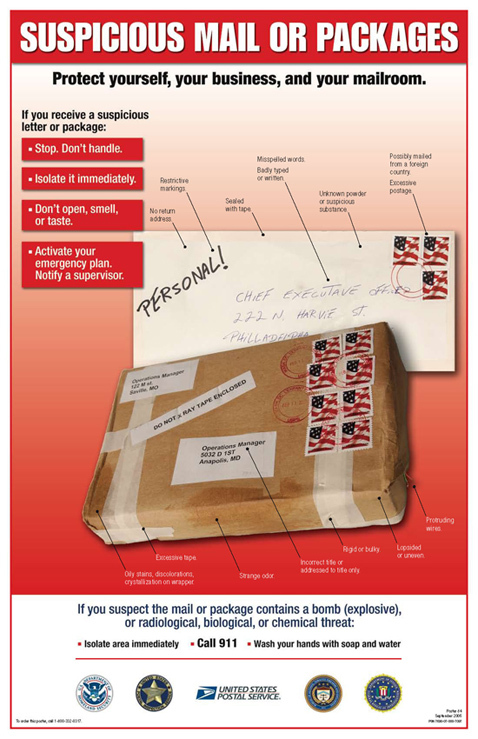 Visit USFRA to learn what to do when a hazardous materials incident affects your community and scroll down to see some hazmat related photos. Texas City disaster – the deadliest industrial accident in U.S. history took place on April 16, 1947, and began with a mid-morning fire on board the French-registered vessel SS Grandcamp which was docked in the Port of Texas City. 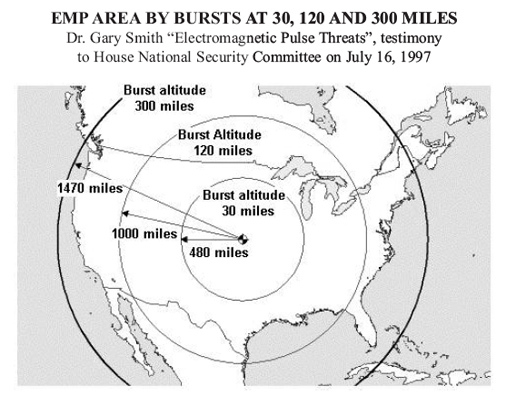 The fire detonated approximately 2,300 tons (2,086,100 kg) of ammonium nitrate and the resulting chain reaction of fires and explosions killed at least 581 people, including all but one member of the Texas City fire department. 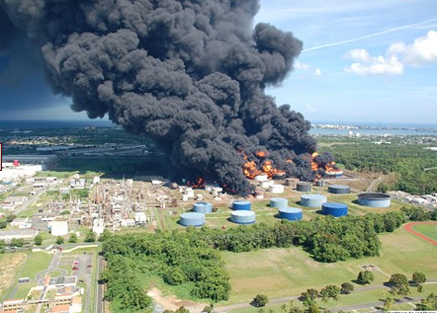 Cataño oil refinery fire – a massive fire and explosion sent huge flames and smoke plumes into the air at the Carribean Petroleum Corporation near San Juan, Puerto Rico. 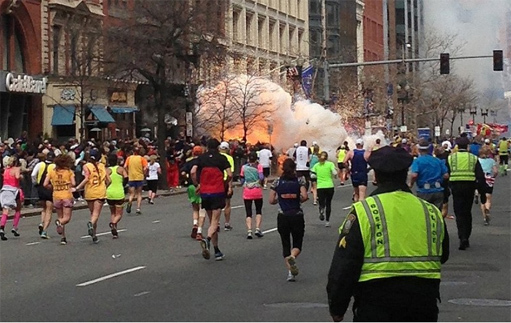 Amazingly there were no fatalities, but 3 people were injured. 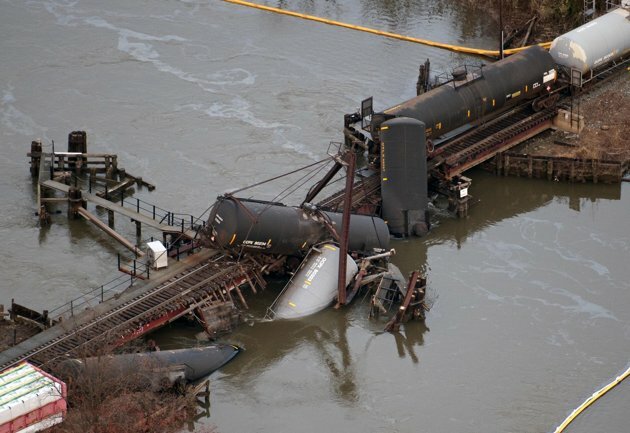 Train derailment in NJ – four cars (including 3 in the water) contained vinyl chloride which can induce respiratory problems, dizziness and other health effects after short-term exposure — and liver problems and other complications after high levels of exposure over time. You are currently browsing the Fedhealth blog blog archives for April, 2013.